Choosing your new hearing aid can be a big investment, but to help you spread the cost, you can use one of our Hear Now Pay Later plans. Pay for your new hearing aids over a 10 month period, with an initial deposit followed by instalments paid each month by direct debit. There are no arrangement fees or hidden extras and if you want to settle your balance early, you can – with no extra charge. Pay for your new hearing aids over 36 months, with a minimum 10% deposit followed monthly repayments over 36 months. We work exclusively with Braemar Finance to provide this finance service and we act as a credit broker and not a lender. Leightons HearingCare Limited acts as a credit intermediary and offers credit products provided only by Braemar Finance. Braemar Finance is a trading style of Close Brothers Limited. Close Brothers Limited is authorised by the Prudential Regulation Authority and regulated by the Financial Conduct Authority and Prudential Regulation Authority. For more information please visit www.braemarfinance.co.uk. Finance is only available to UK residents over 18 subject to status terms and conditions apply. 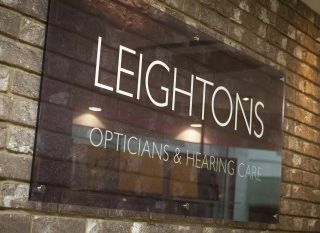 As an independent hearing care provider, Leightons is able to offer the latest in hearing aid technology from a wide range of manufacturers. You can browse our hearing aids by brand or by fitting style. Of course, as well as amazing technology, our expert audiologists are always on hand to tailor your hearing aids perfectly to you and your lifestyle. So you can keep doing everything that is important to you and never miss a thing. Our hearing aids are all available as part of our carefully constructed Hearing Care Packages. Designed with you in mind, they offer you all the support you need with your hearing aids, from batteries and servicing to hearing checks and aid adjustments. Your audiologist will be happy to help you choose the right hearing aids and the right package for you and your hearing needs. If you would like more information about the Hear Now Pay Later plan, our hearing aids or our Hearing Care Packages, then why not pop in for a chat? You can use our branch finder to find your local branch. 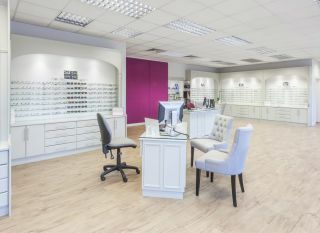 Call us on 0800 40 20 20 or you can book an appointment online.